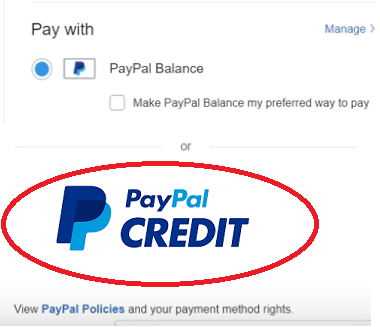  Free 60 Day Returns? 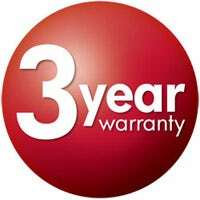  Includes 3 year manufacturer warranty? From one of the oldest manufacturers of massage chairs, the Osaki OS-Pro Maestro Massage Chair delivers the most life-like massage with its host of features. 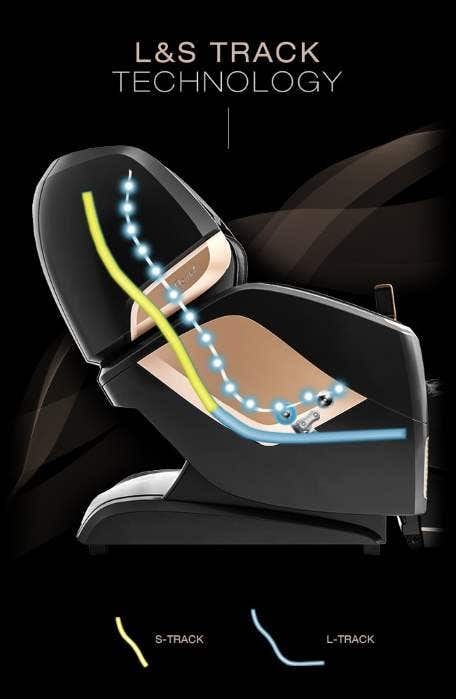 The Osaki OS-Pro Maestro Massage Chair is equipped with the newly enhanced 4D massage roller technology that provides wider and deeper massage movements while allowing changes in rhythm and speed. 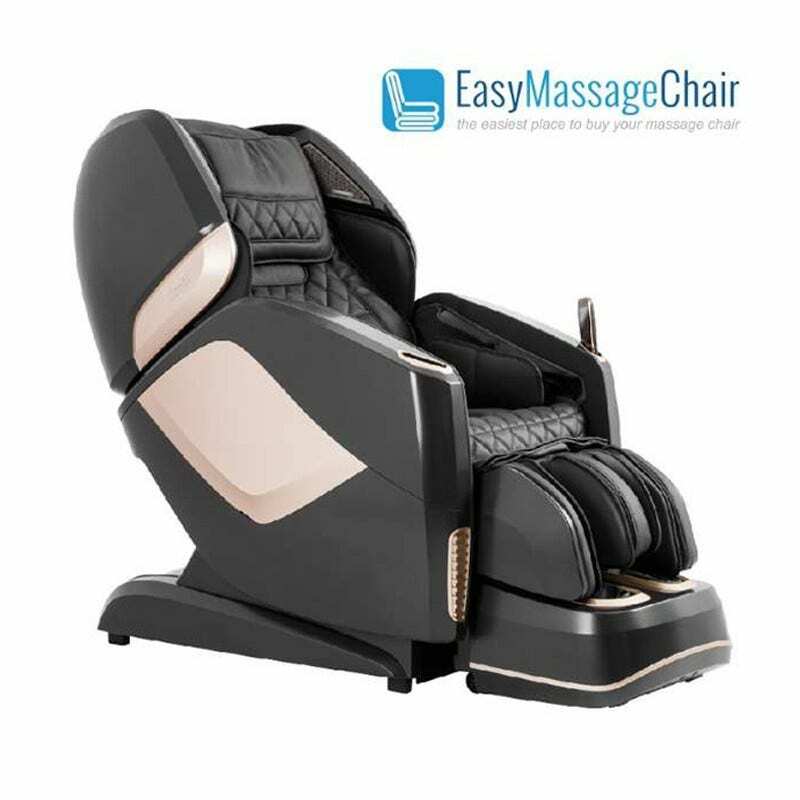 Unlike 2D and 3D massage chairs, the Osaki Pro Maestro 4D massage technology offers better customizability so you have better control of your relaxation experience. This Osaki massage chair boasts of 8 4D adjustments, 5 intensity adjustments, 5 strength adjustments, and 5 speed adjustments. 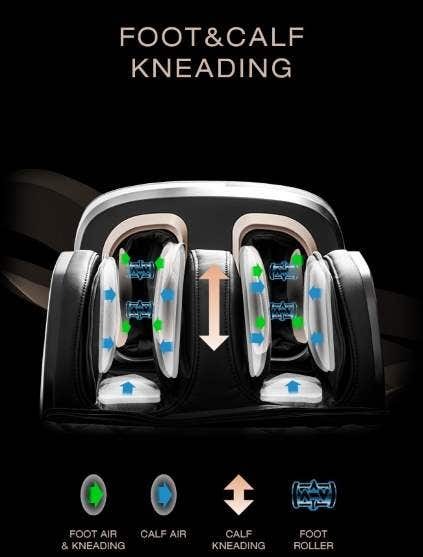 The highly effective 4D massage rollers of the Osaki OS-Pro Maestro uses an S-track that follows the natural contour and curvature of your spine and combines it with an L-track that extends from the neck area, down to the lower back, and extends underneath the back of the thighs to provide wider coverage and exceptional relief. The use of an L-track increases the massage area coverage by up to 50% compared to using just an S-track. The most advanced back heating system. Heat and warmth can provide a lot of benefits for the muscles. 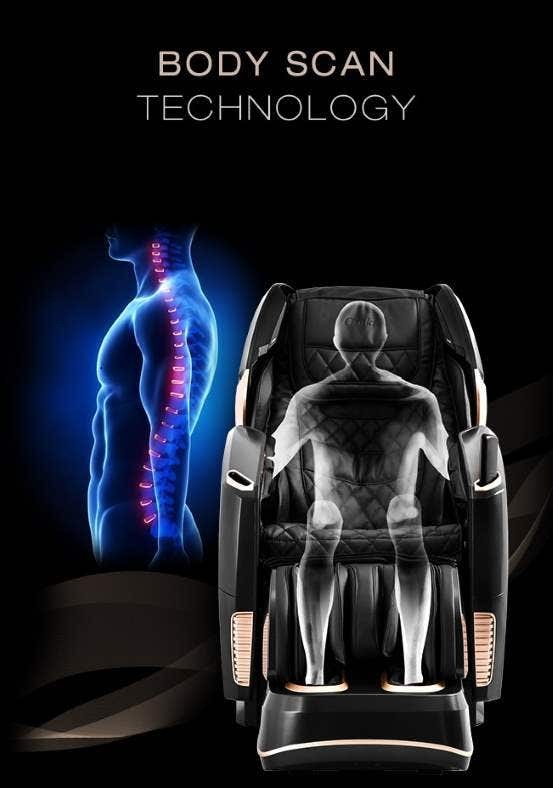 This Osaki massage chair aims to deliver the same heat therapy benefits with its advanced back heating system. The heated rollers act like hot stones that massage your body with warmth, providing pain relief and increased blood flow to the massaged area. The body scan feature of the Osaki OS-Pro Maestro massage chair allows it to provide a more customized and targeted massage. This massage chair starts a session with a body scan to map important areas and detect shoulder height, then it will determine the optimal amount of pressure for different areas based on the scan. 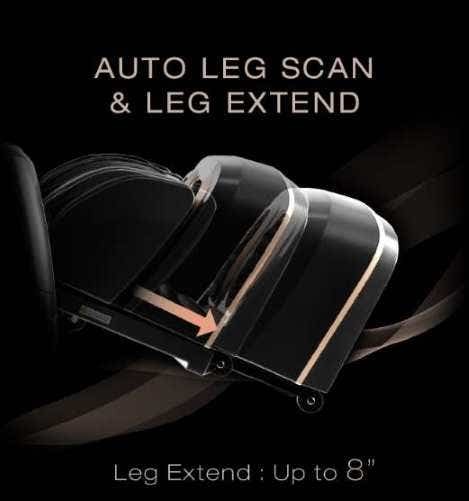 With its ottoman that can be extended up to 8”, the Osaki Maestro massage chair can accommodate heights of up to 6’3”. A scan will be performed by the ottoman to determine the optimal length for your height. The length can be easily adjusted by applying pressure with your feet or with the chair’s remote controller. 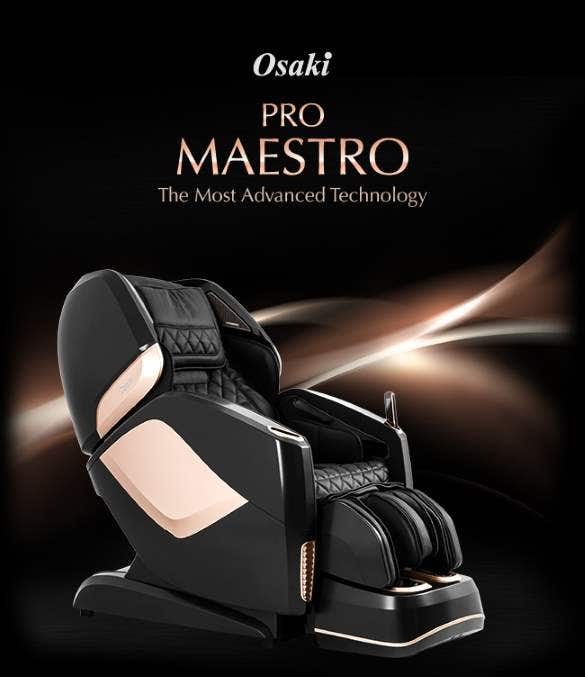 With its 8 automatic massage programs and its versatile manual mode, the Osaki OS-Pro Maestro massage chair can provide the exact massage to match your needs and preferences.. Ideal if you want to: be more calm and relaxed. The manual mode can be customized according to four different massage types – kneading, tapping, shiatsu, and rolling. 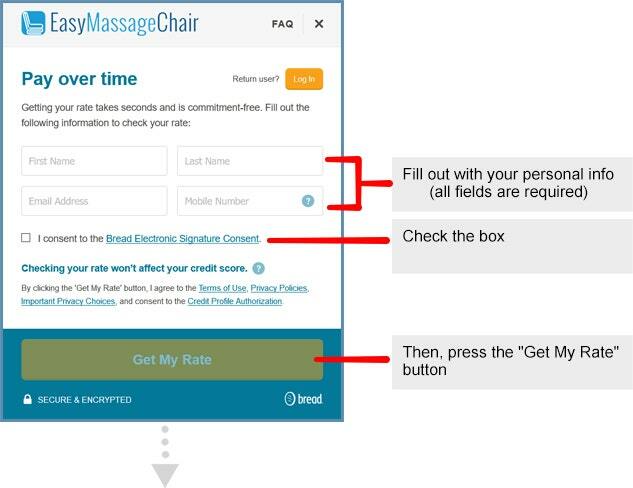 You can target areas of your body by choosing a massage type and the specific spot on your back or section of your body. This Osaki chair allows you to target neck and shoulders, arms, lower back and hips, calves, and feet. Aside from its massage rollers, the Osaki Maestro delivers a full body massage experience with the help of its 30 airbags. These airbags are strategically located in key areas such as the shoulders, arms, waist and hips, calves, and feet to provide compression massage. The massage movement delivered by these airbags helps improve blood circulation and relieve pain and tension. The Osaki OS-Pro Maestro massage chair delivers equal focus on the areas that are most neglected by other massage chairs. 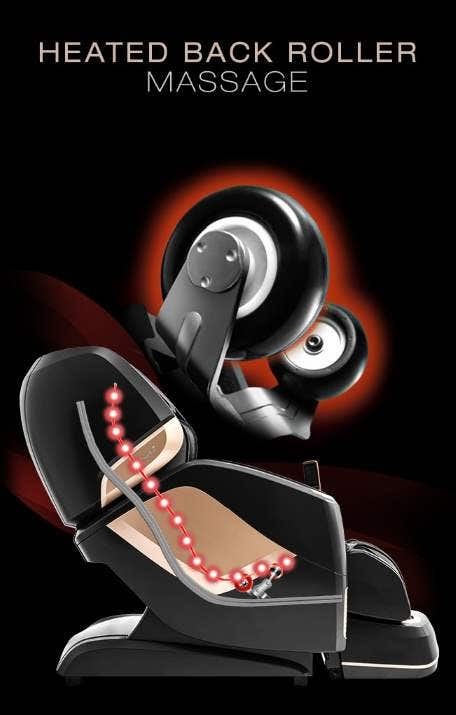 It provides an outstanding foot massage with its spinning reflexology rollers under the feet and additional components that stretch and massage the bridge and heel of the feet. While these rollers travel along the sides and middle of the feet to give a satisfying kneading experience, the rollers and airbags along the calf will deliver optimal pressure and kneading and circular motions. 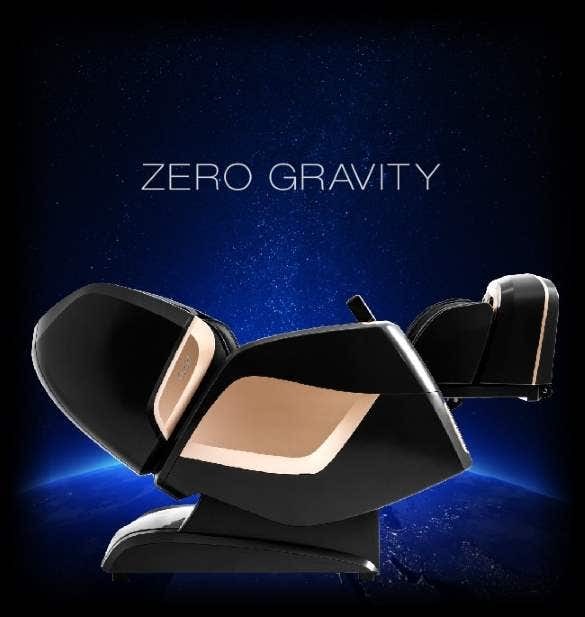 Inspired by NASA, this massage chair can put you in a zero gravity position to provide ultimate relaxation. This position allows the backrest to support the weight of your back and your knees to be brought above your chest. This will help improve blood flow, reduce the compression along the spine, maximize the massage intensity, and provide total relaxation. With just a 5” space requirement between the backrest and the wall, this massage chair can easily fit in tight spaces, allowing you to save space and maximize your living space. 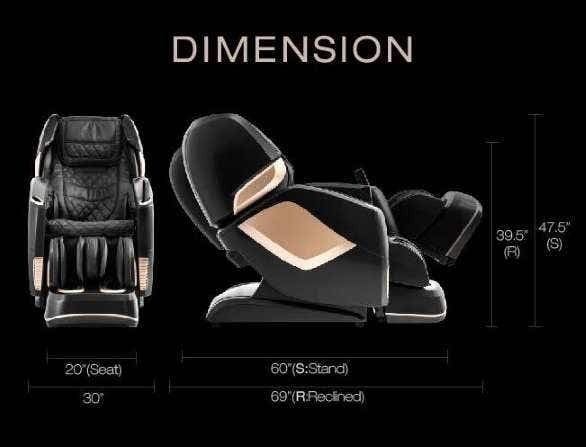 The Osaki OS-Pro also boasts of special features that aim to elevate the user experience beyond the exceptional massage it provides. Bluetooth and HD speaker. 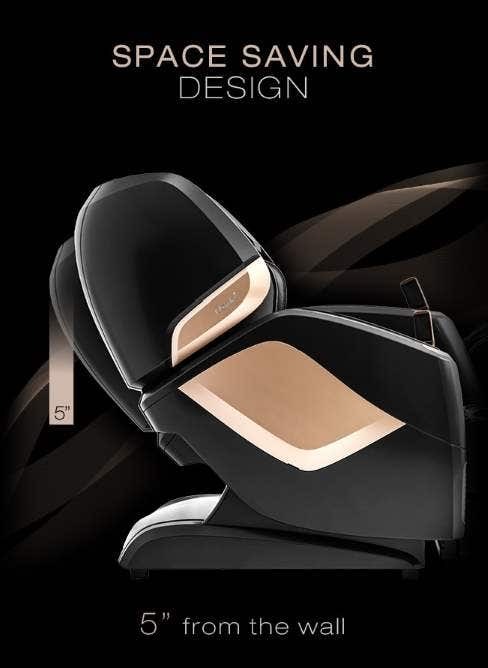 This Osaki massage chair provides you with a way to also use sound and music in your relaxation experience. It is equipped with Bluetooth technology and an amphitheater sound system, so you can listen to your favorite music and sounds for relaxation. 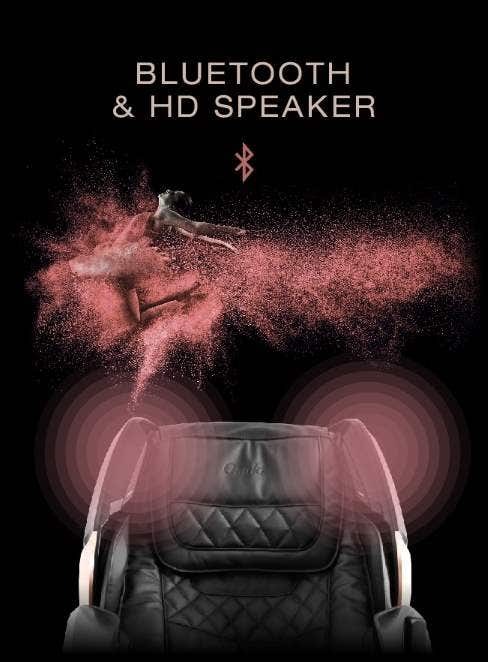 The Bluetooth technology allows the chair to receive the sound wirelessly and the audio speakers on the headrest provide the surround sound quality. •	Remote control. Its slim LCD remote control makes controlling this massage chair easy and simple. 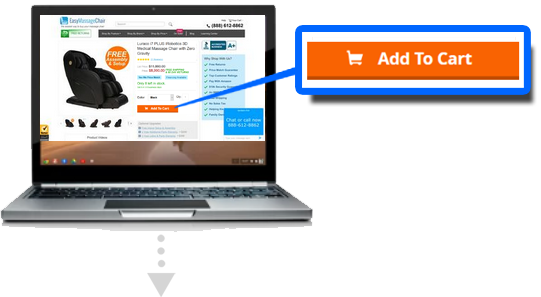 It has four simple buttons and a touch screen to help you easily select and adjust any settings. The remote control can help you set the massage timer anywhere from five minutes up to 30 minutes. iPhone and Android app. 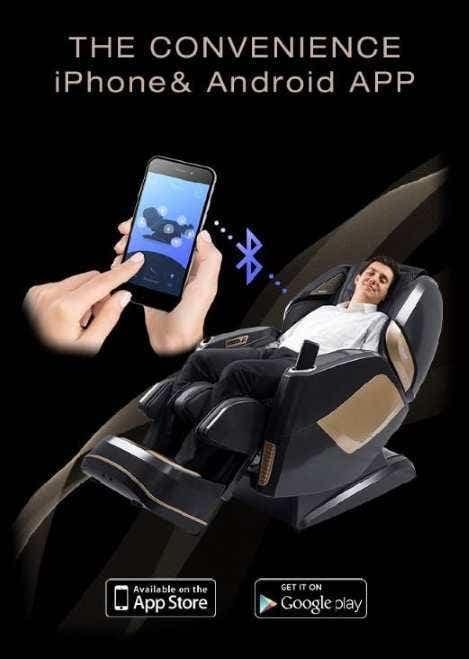 You can easily turn your mobile phone into a remote control for this massage chair by installing its app from the App Store or from Google Play. •	Quick control. This massage chair also has quick access controls on the side of its armrest. 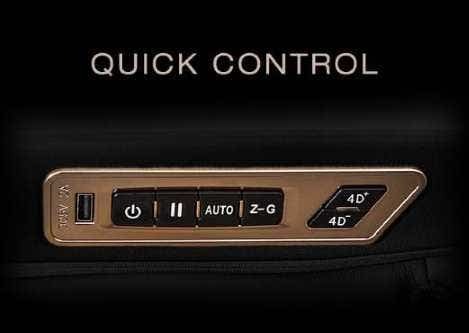 The buttons included are Power, Play/Pause, Auto, Zero Gravity, and 4D adjustment. It also has a USB outlet for charging your device. Recommended Height Range 5'0" - 6'3"
This item includes a 3 year manufacturer warranty on the parts. And for the 1st year, in home labor service is also included. We guarantee that your qualified product will be replaced or repaired at our option, without cost to you, should it be deemed defective because of faulty parts, workmanship or structural defects during the first THREE (3) years of ownership, excluding specific limitations contained herein. 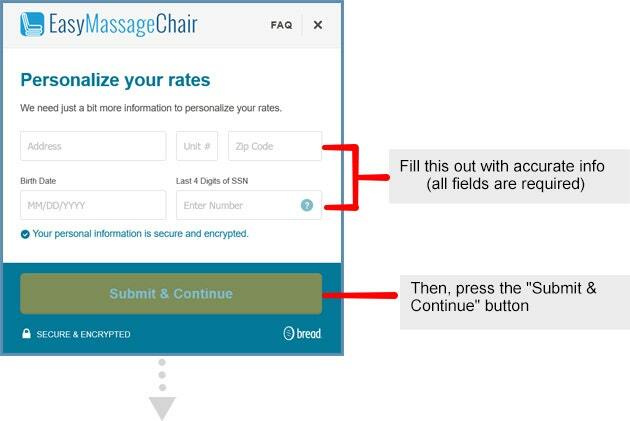 I will rate my overall experience as a 3.Review by John B.
I enjoy the massage chair. It really helps me relax. 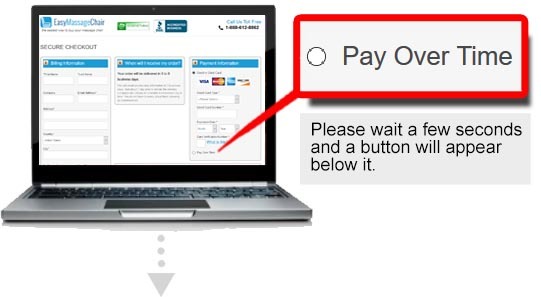 It is not just a convenience. It is a must. I have a friend that uses it often. I’m wondering if there are subtle differences in the high end chairs or if they are vastly different ? I’m considering getting one for my friend and I’m not sure if it’s necessary to give it a test drive before buying it. I will rate my overall experience as a 3. The man I talked to on the phone “Vincent” was professional,courteous and had an answer to my questions. He was extremely accommodating regarding all the delivery delays etc.